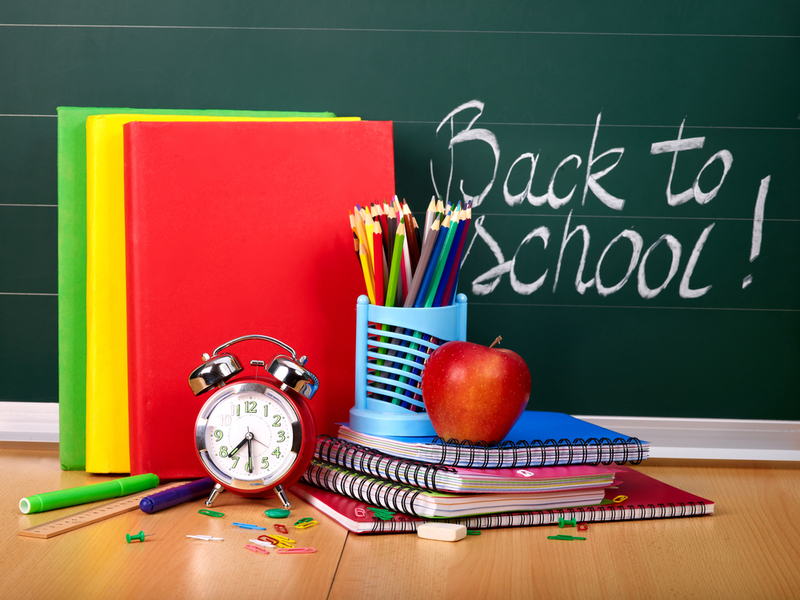 The 46th and 48th Wards are holding back-to-school events, starting this week. 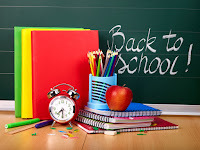 "I am excited to host Back to School Events for students and families of the 46th Ward. Come out to one of our three events for some family-friendly fun! We will provide raffle prizes, activities for students, food for guests, and music. We are excited to partner with the Chicago Park District in hosting these events. One of our great organizations in the Ward, Kuumba Lynx, will be co-sponsoring our Clarendon Park event, providing activities and entertainment for students and families. Dates and times for these events are listed below. As we start another school year, I am working with local principals and Friend of the 46th Ward Schools to see how my office can best support our local students. I will be featuring accomplishments and projects of different students throughout the school year. 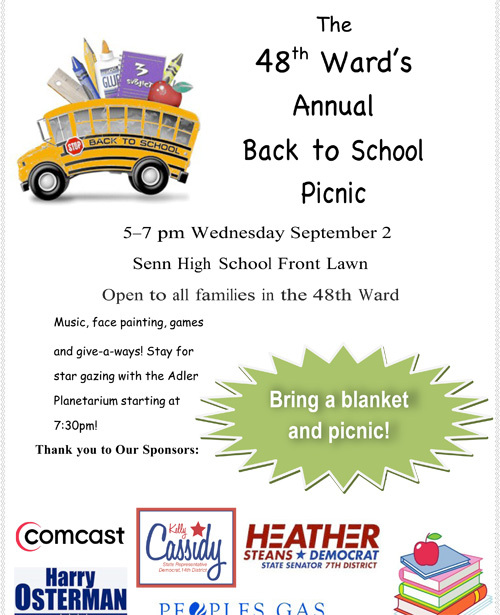 I look forward to see the great work of our 46th Ward students and teachers! Saturday, August 22nd, 10AM-12PM at Broncho Billy Park"